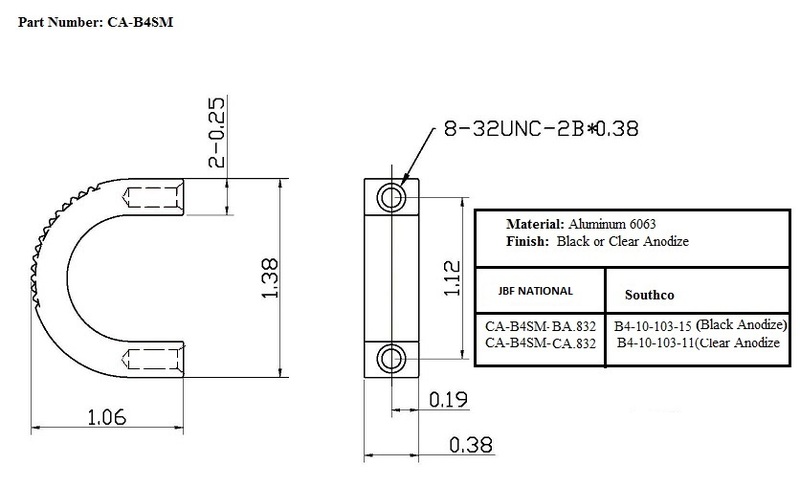 Request a quote for CA-B4SM - Aluminum Chest Handle today. JBF National chest handles are manufactured from the highest quality materials. They are designed and tested for ultimate reliability and durability. CA-B4SM comes in aluminum with a black or clear anodized finish and features a 8-32 thread size. Please see component diagram below.